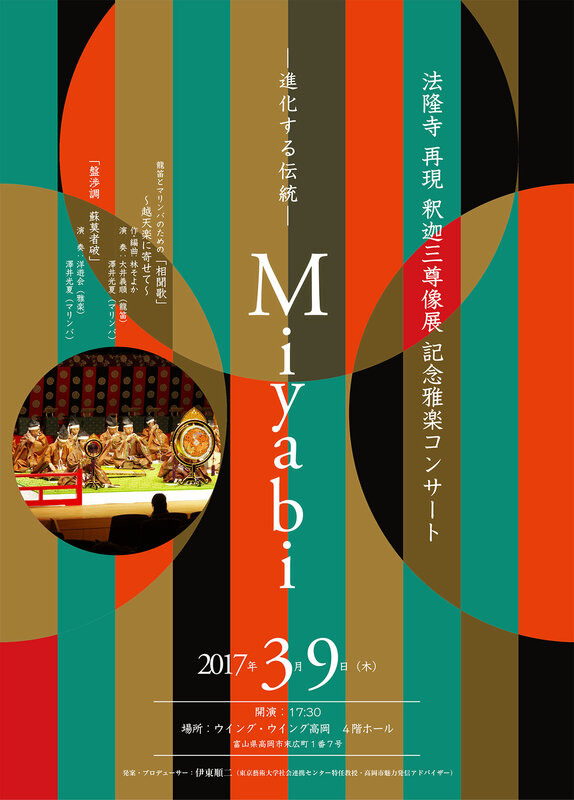 This is the flyer for the Horyuji temple Shakudo-Sato memorial traditional concert. This is a project made by professor Junji Ito, who is a Tokyo National University of the Archeology Society Collaboration Center Professor, and the Takaoka City Attraction Advisor. I did not have the opportunity to do photography for the event, so I was asked to design a flyer incorporating the idea of the Gautama Triad, the Buddha flanked by two retainers, into 3 separate circles on the flyer.